Peel and dice the potatoes. Boil for 7-10 minutes until just cooked through. Make sure you don't overcook them, you don't want to end up with mash! 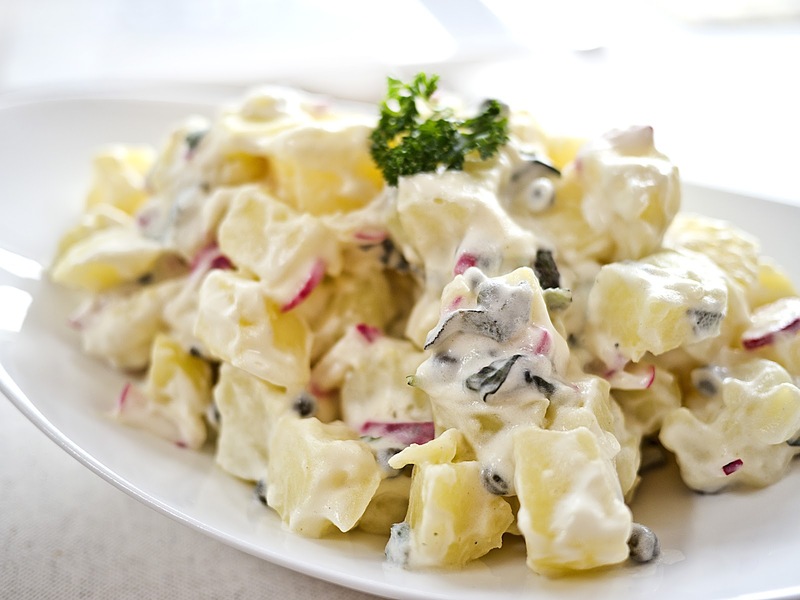 Mix together the mayonnaise, yogurt, herbs and enough water to make a runny dressing. Add in the capers and mix with the potatoes, onions and radishes.